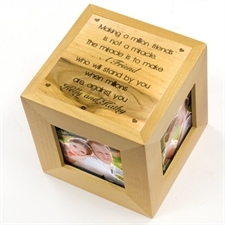 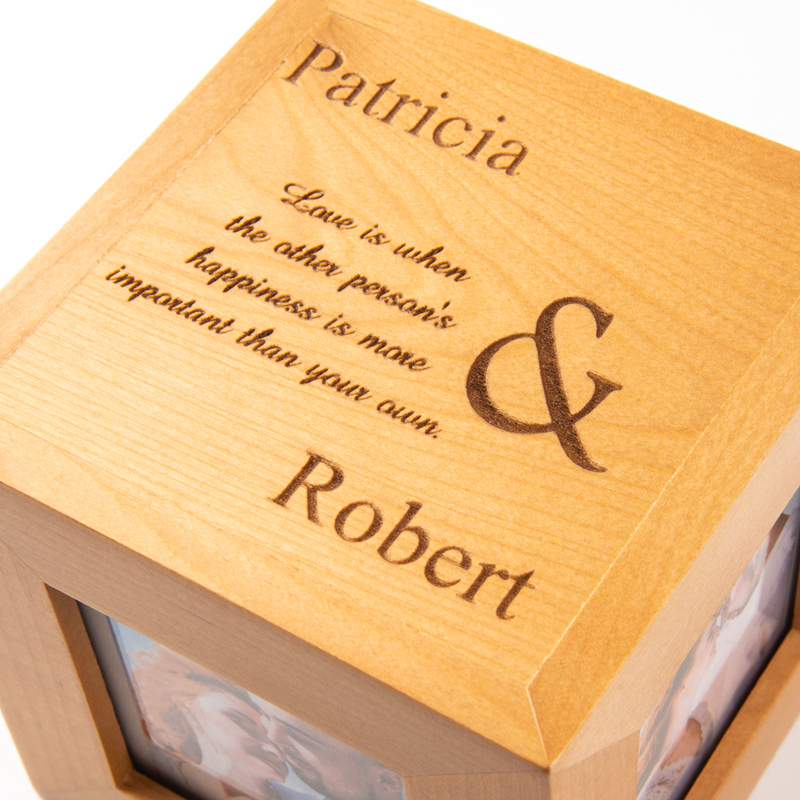 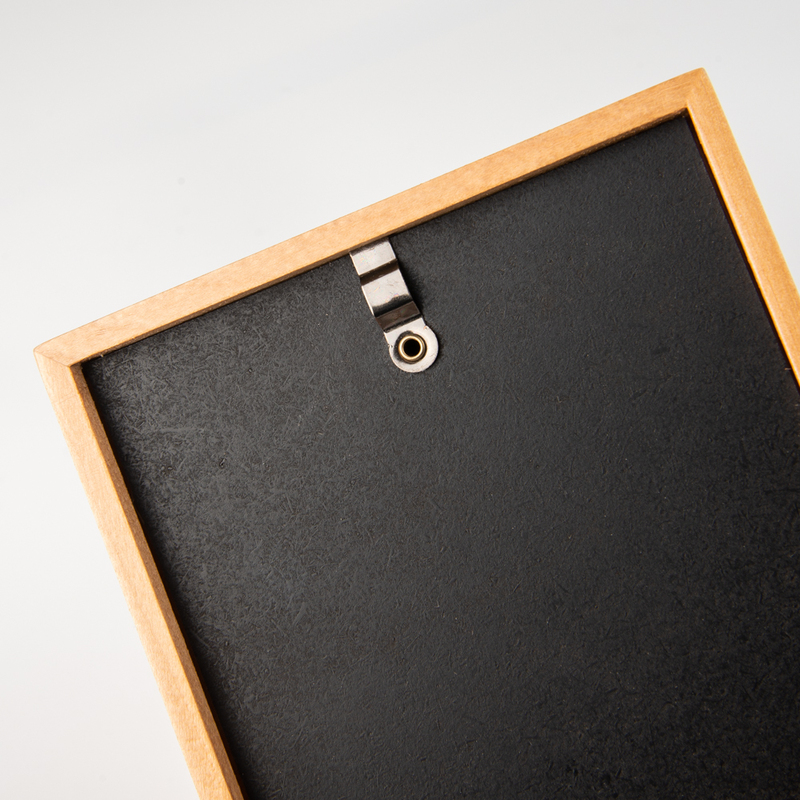 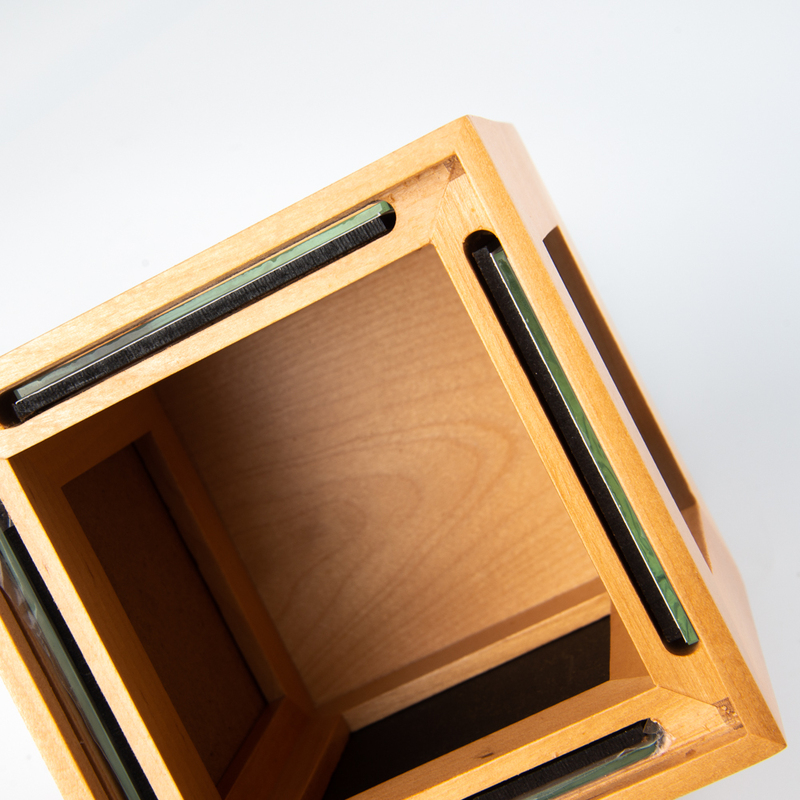 Your personalized message is permanently engraved on the top of high quality wood cube. 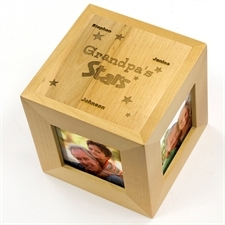 Quality constructed of natural colored wood grain, featuring 4 separate photo openings, each measuring 2 1/2" x 2 1/2" and holds a 3" x 3" photo. 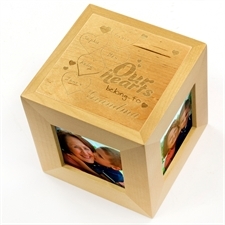 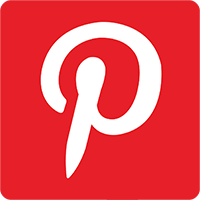 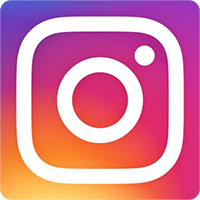 Overall photo cube measures 4 1/2" square.